It always seems to take a tragedy to reveal the truth about the regulatory system in the United States. After an explosion at an oil refinery, a massive oil spill, a major outbreak of food poisoning, a coal mine collapse or a train derailment, it comes to light that regulators, rather than being the overbearing bureaucrats depicted by corporate apologists, are often unequipped to exercise adequate oversight of the operations of big business. That scenario is playing out once again in the wake of two deadly crashes of Boeing’s newest passenger jet. Day after day we are learning more details of how an under-resourced Federal Aviation Administration cut corners in its review of the company’s 737 Max. The agency, pursuing a new approach that has been in the works for years, delegated key portions of the approval process to Boeing itself, including the assessment of a new software system that has been implicated in the crashes. Critics have long complained that regulators have frequently been captured by the corporations they are supposed to oversee, meaning that those companies exercise undue influence over the agencies. What’s been going on at the FAA is even more pernicious. Boeing is not just swaying the FAA; it is supplanting it. Rather than regulatory capture, this is regulatory eradication. The idea that corporations should be allowed to oversee themselves is unwise in general but particularly wrong-headed when it comes to a company like Boeing. The aircraft producer has a long record of safety lapses. This goes back decades. For example, after a Japan Air Lines 747 crashed during a domestic flight in 1985, killing 520 people, Boeing admitted that it had performed faulty repairs on the plane’s rear safety bulkhead. In 1989 the FAA proposed a then-record fine of $200,000 against Boeing for failing to promptly report the discovery that fire extinguishers on two 757s were faulty. In 1994 the Seattle Times, after reviewing 20 years of reports submitted to the FAA, concluded that more than 2,700 Boeing 737s then in service were flying with a defective part that could cause the plane’s rudder to move unpredictably, possibly turning the aircraft in the opposite direction being steered by the pilot. These kinds of problems continued. In January 2013, after several incidents in which lithium-ion batteries in 787s caught fire, the FAA ordered the grounding of all U.S.-based Dreamliners. The head of the National Transportation Safety Board accused the company of having submitted flawed safety test results on the batteries. 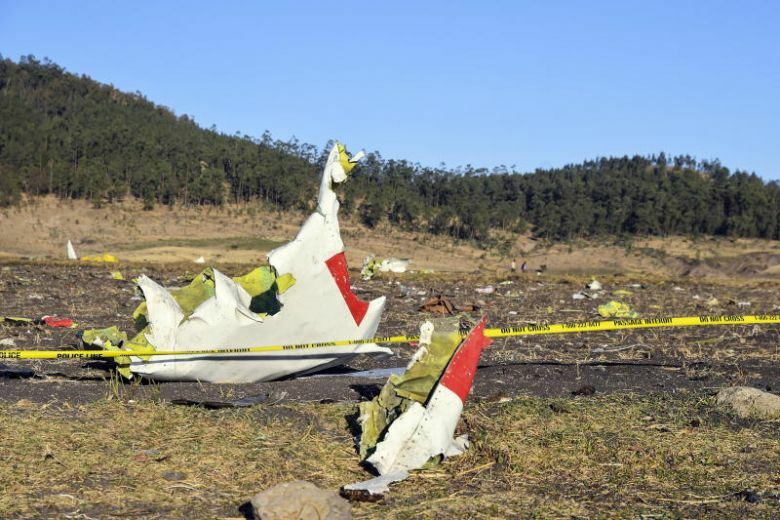 This history apparently did not factor into the FAA’s decision to rely heavily on Boeing during the 737 Max approval process and it did not prevent the agency from resisting calls to ground the jet until pretty much all of the rest of the world took that common-sense step following the crash in Ethiopia. Shamed into action, the FAA is now behaving more like a real regulator again. Yet this too is part of the typical scenario: when outrage about a deadly incident escalates, an agency acts tough. But this rarely lasts. Once the uproar dies down, the regulators return to their comfortable relationship with the regulated, and the public is once again put at risk. This entry was posted on Thursday, March 21st, 2019 at 5:40 pm	and is filed under Aerospace industry, Regulation. You can follow any responses to this entry through the RSS 2.0 feed. Both comments and pings are currently closed.